As I reflect on my first year in graduate school—how quickly it went by and all the things I learned and accomplished—one person stands out for me as both an influence and an inspiration in my writing and editing life. In my Introduction to Publishing class fall quarter and my Book Design class spring quarter, I wrote two different essays on Virginia Woolf and her contributions to women’s history and the field of publishing. Even as these classes fade into the memory of school days passed, Virginia Woolf remains in the forefront of my thoughts. Most people know Woolf as a prolific writer who helped spread feminist writings and ideas to early twentieth century women through such books as Mrs. Dalloway and To the Lighthouse. What some may not know—and what I was happy to discover about her in my research—is the part she played in publishing’s history. Publishing is historically a male-dominated field. Although the numbers have presently swapped in favor of female editors, this was not so when Virginia Woolf wrote her modern masterpieces in the early 1900s. Virginia and her husband Leonard Woolf founded Hogarth Press in 1917, and what began as a hobby and form of therapy for Virginia, evolved into a successful business venture that resulted in the publishing of over 500 books, many of which were important contributions to English literature. The Woolfs not only published their own writing, but classics such as T.S. Eliot’s The Waste Land. Hogarth Press became a home for the Bloomsbury Group (a literary group comprised of the Woolfs, E.M. Forster, T.S. Eliot, and other writers) and beyond that, an outlet for Virginia. By taking on the job of editor and printer, Woolf was able to bypass the traditional publishing process (and the male publishers) and put forth work unharmed by the usual standards for a female writer. She had the freedom to experiment with her writing, both in form and content. on the need for women to be readers and writers. In Virginia Woolf’s extended essay “A Room of One’s Own,” she advises young female writers that the two things they will need to succeed are a room with lock and key where they can write and the money to be able to support themselves while writing. Nearly a century ago, one of the most important English writers (female or otherwise) recognized that women will not rise above sexual oppression until we build ourselves a room of our own. In “A Room of One’s Own,” Woolf lamented that there was so little of women’s history known because there was so little opportunity for women to write it down, least of all have it published . 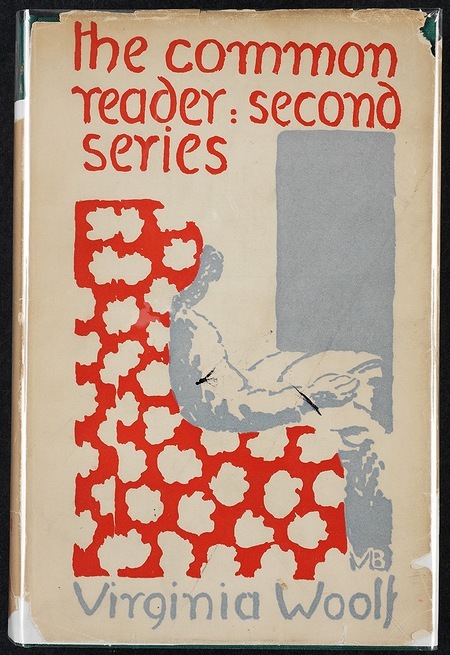 Through learning how to set type, to operate printing machinery, and taking the book design process into their own hands (often with cover designs illustrated by Virginia’s painter sister Vanessa Bell), the Woolfs published free of editorial censorship. Hogarth Press symbolizes Virginia’s creative control over her own work, through both content and design. As Virginia noted in a diary entry, “I’m the only woman in England free to write what I like.” Hogarth Press—for Virginia Woolf, and all female writers, book designers, and publishers—remains an important milestone in publishing’s history. By breaking ground in a male-dominated field and taking control of her own voice, Virginia Woolf made it possible for the female writers who followed to write what they like.